Trident Technical College’s summer camp programs are designed to help campers develop and expand their interests, stimulate creativity, make new friends and most important, have fun learning. They offer hands-on, engaging summer camps and year-round courses in a variety of subjects like computer technology, life skills, creative arts, math and science and culinary arts. 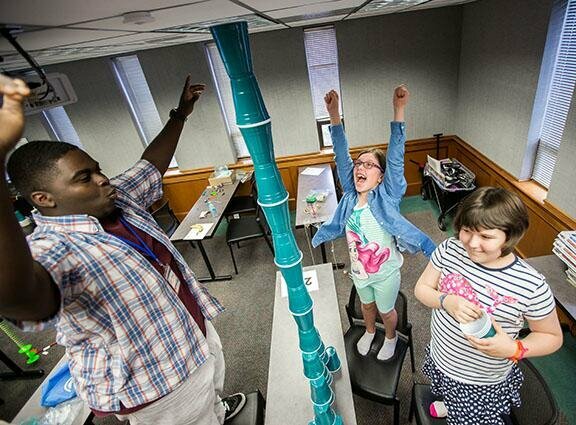 What better way to spend a summer week than learning and having fun? TTC’s Kids’ College offers a variety of camps for children ages 7-11. Teen University camps are designed just for teens and preteens aged 12-17. Children and teens can learn anything from how to design video games and comic books to how the American legal system works, all while developing leadership and social skills, fostering creativity and having a blast. Bring your camper for the day! Sign up for a morning and afternoon session, pack a lunch, and TTC will take care of the rest! Summer camps will run through the week of August 3, 2018. Camps are open for registration now. You may also register in person at 2001 Mabeline Road, Building 910, Room 102.